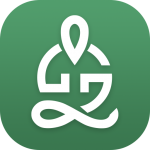 The March Networks® GURU Smartphone Application delivers the insight and knowledge you need by putting advanced diagnostic information, tools and support right at your fingertips. With GURU, you’ll instantly have access to the collective brainpower of a virtual technical support team, with troubleshooting tips, video tutorials, RMA shipment status, warranty status, and much more. 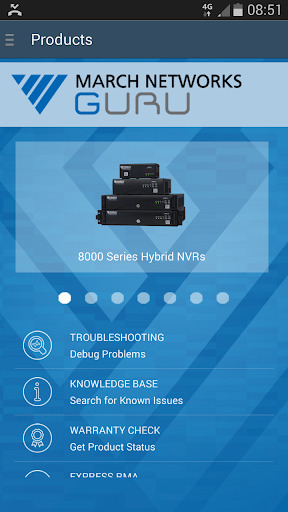 GURU helps March Networks certified solutions providers (CSPs), field technicians and engineers save time in the field when troubleshooting March Networks’ hybrid Network Video Recorders (NVRs), IP cameras, Command video management software and Searchlight application software. GURU helps ensure that installations are done right the first time by providing configuration auditing for 8000 Series Hybrid NVRs and RideSafe GT Series Hybrid Transit NVRs. Once an NVR is installed, a technician can auto-generate an audit report that includes the NVR and camera configurations as well as field of view images for each camera. This report can be e-mailed for review at a central location and stored for future reference, or sent to the end user as a value-added report detailing the installation. GURU takes you through a troubleshooting decision tree with an interactive graphical utility to help you identify issues quickly. GURU uses filters to narrow down search criteria on faults seen in the field. These corrective actions also contain diagrams to further assist technicians who may not be thoroughly familiar with specific units. GURU also provides access to known problems to help quickly resolve field issues. 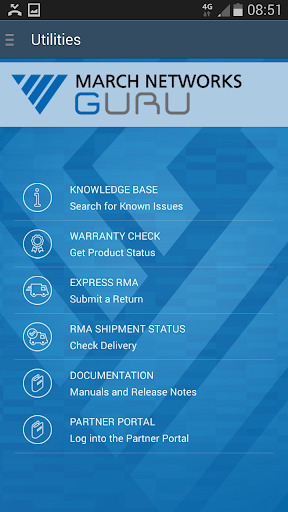 If required, the app allows you to instantly check product warranty status and submit a ticket or an RMA using the unique QR code on the NVR. Once an RMA has been submitted, GURU allows you to track the shipment status. Provisioning NVRs in the field just got a lot easier. Using the GURU app, a wireless adaptor and the QR code on the front panel of an 8000 Series Hybrid NVR or RideSafe GT Series Hybrid Transit NVR, you can connect directly to a unit to change an IP address or tweak other network settings. With GURU’s Mobile Asset Tracking feature, transit agencies can also track their RideSafe GT Series hard-drives as they are being handled from one person to the next. GURU contains a number of planning tools to help you find the right products and solutions for your customers. The System Design Tool allows you to generate approximate storage and bandwidth estimates based on a variety of settings. The Camera Selector tool allows you to select the best IP camera for your application. With the Third-Party Support tool, you can quickly verify which systems are integrated with March Networks’ solutions. Once a problem is identified, GURU will show you how to fix it quickly through a series of short videos on common diagnostic and replacement procedures. With GURU’s product documentation, March Networks CSPs have access to product documentation anywhere, at any time.